PA chairman meets Chilean President, compares suffering of Jews in the Holocaust to Palestinian suffering. Palestinian Authority (PA) chairman Mahmoud Abbas is apparently incapable of concealing his true views. Channel 10 News reported on Wednesday that Abbas had held a press conference following a meeting with the President of Chile and spoke about the suffering of the Jews in the Holocaust, while comparing their suffering to the suffering of Palestinian Arabs in Judea and Samaria. "I respect the victims of the Holocaust, which was the greatest and most heinous crime in history, but also express the hope that the suffering of Palestinians who live 70 years in exile and the occupation will end," Abbas said, according to the report. 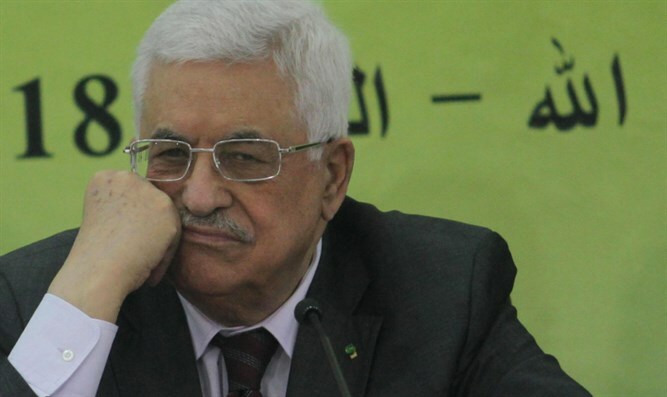 The PA chairman’s remarks were met with a flurry of condemnations, both in Israel and abroad. German’s Foreign Minister, Heiko Maas, criticized Abbas as well, writing on Twitter that Germany was responsible for “one of the worst crimes in history and therefore, we must respond resolutely to any anti-Semitic expression.” He linked his comment to Abbas's speech. Britain similarly criticized the anti-Semitic speech, saying Abbas’s remarks were “deeply concerning” and unhelpful to peace in the region. The United States last Friday asked the UN Security Council to reject what it called the "unacceptable" and "deeply disturbing" remarks by Abbas that included "vile anti-Semitic slurs". Abbas apologized for his remarks on Friday and condemned the Holocaust "as the most heinous crime in history." "If anyone, especially anyone of the Jewish religion, was insulted by what I told the Palestinian National Council, I apologize to them. I would like to assure everyone that it was not my intention to do so, and to reiterate my full respect for the Jewish faith, as well as other monotheistic faiths," he stressed. Defense Minister Avigdor Liberman immediately rejected the apology and said Abbas was a "pathetic Holocaust denier".